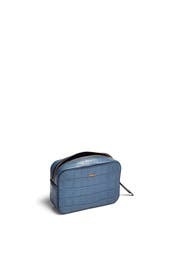 Croc-embossed leather lends a chic look to this structured belt bag by Furla that's perfect for day-to-night dressing. 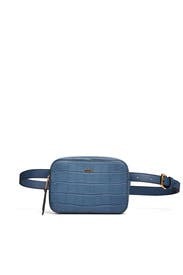 Blue croc embossed belt bag with top zipper closure. Adjustable belt, 8"- 17" long. 4.7"H x 5.5"W x 2"D.
The perfect and practical accessory to finish off your look. Small, but still fits an iPhone plus, card case, lipgloss.